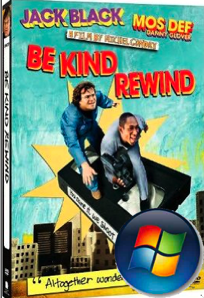 Microsoft have teamed up MEAN Magazine to produce “Cinemash,” a series of videos of classic scenes from old movies, that have been “Sweded”. The shorts will appear first on the Zune Marketplace, so about 4 people worldwide can enjoy them, before moving on to the XBOX Marketplace, and leaked to Youtube… To be fair, Microsoft have done a bunch of cool things with video recently, funding the second season of The Guild as an XBOX Live Exclusive, and even cooler, getting a bunch of Horror film makers to direct comedies. (Again, an XBOX Live Exclusive). Rock on Microsoft!